It has been five years since Magnitude 6.1 earthquake struck Canterbury and killed 185 people including 28 Japanese. 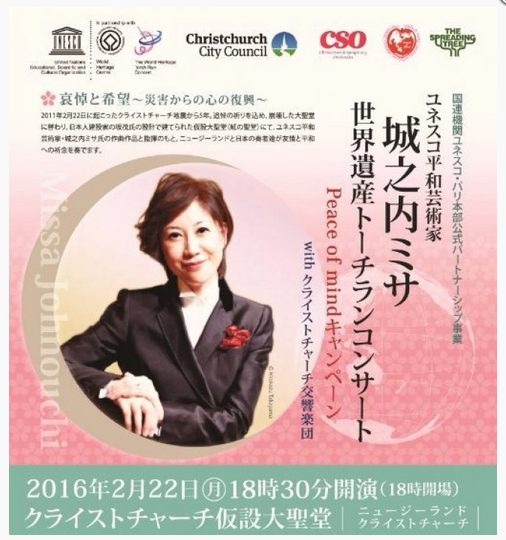 Memorial concerts will be held in Christchurch on the 22nd of February and in Auckland on the 24th of February. 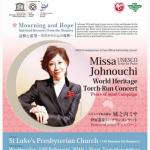 Misa Jonouchi will be conducting as the music director, together with local orchestra and choirs and Japanese guest musicians. The entry is by donation, which will be donated to the project to build the belfry in the Christchurch Cathedral.